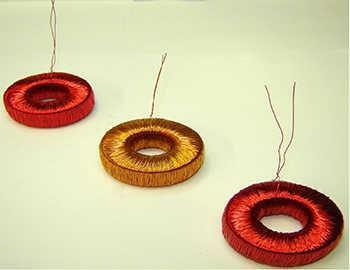 A toroidal coil transformer, as the name suggests, is toroidal or ring-like in shape. It has a magnetic core made of laminated iron, ferrite or powdered iron. Owing to its unique shape, it has minimal electromagnetic interference, thus increasing the efficiency of the equipment. Custom Coils is a toroidal transformer manufacturer and offers these transformers in highly compact configurations and for various applications. 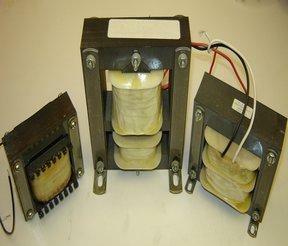 Custom Coils has more than 50 years of experience in custom toroidal power transformers. We offer toroidal cores made of various materials such as silicon steel, nickel, ferrite, powdered iron, and moly-perm alloy. 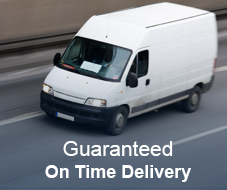 We also help you choose the one that suits your requirements. 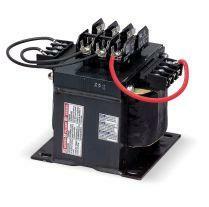 As we all know, a transformer helps change the voltage levels as required. But, a custom toroidal power transformer has some definite advantages owing to its shape and size. The input of a toroidal transformer is connected to the primary winding. As the current passes through the winding, it develops a positive magnetic field. The voltage eventually drops and the positive magnetic field becomes negative. This is the first part of the entire cycle. These positive and negative magnetic fields pass through the secondary winding and an output voltage is generated. So, in this case, the amount of voltage generated is proportional to the turns-ratio between the primary and secondary windings. The core of this transformer helps the magnetic fields to build and collapse which induces the maximum voltage in the secondary winding. This improves the transformer efficiency. 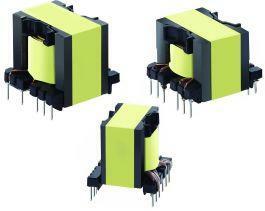 These transformers are available in a plethora of sizes and configurations. Custom Coils offers equipment that can wind toroids ranging from 0.5”OD to the ones that are 6.5” in diameter. The usage of different shuttles and heads further improves the performance of these winders. Shuttles enable winding of wire gauges from 13GA up to 40GA. Toroids are usually wrapped in Mylar or tape for a higher insulation values. 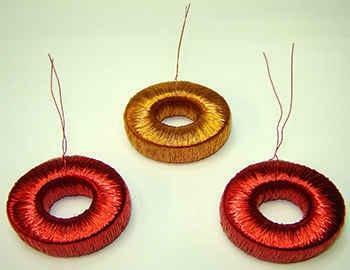 Thus, the toroidal transformer cores are insulated from the windings and the windings are insulated from each other. 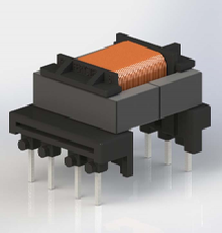 Despite being small in size, in volume, and in weight, these transformers have a large surface area that enables it to dissipate heat more efficiently. 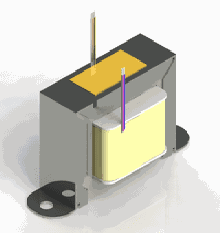 The donut shape core reduces external magnetic flux that results in reduced leakage inductance. 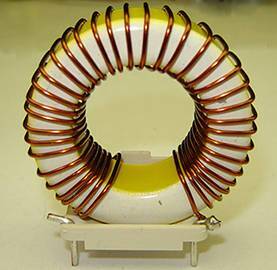 A toroidal coil transformer has an extremely flexible as well as a compact design which offers many benefits. Here, we have listed a few of them. Low offload loss:Since, the magnetic field is well shielded, the energy required to maintain the same in the core is less. 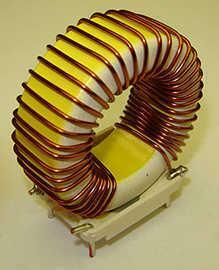 So toroidal coil transformers have far lower excitation power than other types. Minimal external magnetic flux:Toroidal transformers radiate much lesser magnetic field than other types. The windings here act as a shield and hence no special shielding is required to minimize dissipation. Lower winding resistance:Toroidal transformer windings are uniformly distributed over the core; this helps reduce the winding resistance. Lower noise:The mechanical hum is far lesser in toroidal transformers than most other types. So, this functions quietly as the noise due to magnetostriction is reduced here. Smallest size by volume/weight:Although toroidal transformers are available in all sizes, the smallest size is significant and serves many application areas. Also, they are flexible, lightweight, and handy. This makes them easy to mount. Lower leakage inductance:Toroidal transformers have applications in power electronics, wherein a specific leakage inductance value of the transformer is required. A custom toroidal power transformer has many applications, and it is especially used in sensitive devices such as amplifiers, clock and timer circuits, industrial processing, and medical equipment. 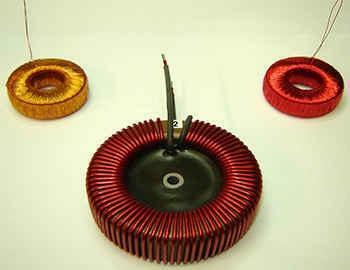 Here are a few application areas of toroidal power transformers. Aerospace:Precision and accuracy are of paramount importance in the aerospace sector, and there is no scope for compromise in detailing and quality radio frequency transmission and high frequency generation in airplanes are supported by these transformers. Communications/Data Processing: Toroidal transformers help transfer signals in case of wireless transmission and data processing devices. Pneumatic Systems:Hydraulic sensors, pressure transmitters, and two-way control valves among others use toroidal transformers to create electric current that helps with the functioning of these pneumatic control devices. Geophysical:Toroidal transformers find application in mining, oil well drilling, and mineral extraction tasks, wherein they are used for seismic data collection and interpretation, recording the movement in earth’s layers, and automated thermal printing. Current Transformer:These transformers are used to measure high-voltage electrical devices and high-power circuits; as they minimize the error rate as their electromagnetic interference is very low. Biomedical:This sector has a huge application for toroidal transformers. This includes electrical devices used in various medical equipment such as X-ray machines, imaging systems, electronic cardiograph machines, lasers, bone density scanners, and more. Power Supplies:This is the most common application areas of toroidal transformers as they adjust the current voltage levels for uninterrupted power supply. Audio Systems:Typical features of toroidal transformers such as low magnetic flux and hum, small size, flexibility, and lightweight make them applicable in audio systems and amplifiers. 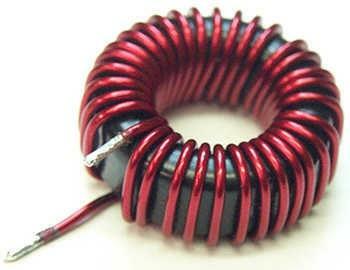 Have a question about a toroidal coil transformer or any other custom magnetic assembly?